If you've missed the first posts in this series, be sure to check them out here: Introduction, Day 1, and Day 2. So far we've made a list of people to gift, mapped out our budget, and looked into a few ways of expanding that budget without spending an extra dime. 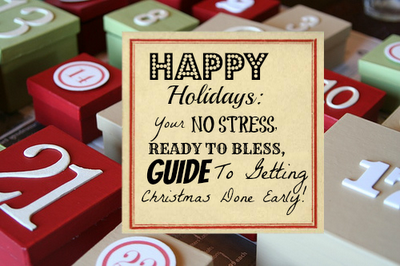 Today we ask the all important question- should you make or buy your Christmas gifts? That special, extra touch of thoughtfulness and effort can really make a homemade gift uniquely special. If you are an extremely crafty and talented individual, homemade gifts might be totally attainable and a no-brainer for you. Me? I've got two left thumbs. If I'm making my gifts, they'd better be on a "Crafting for Dummies" level, or something I made in the kitchen (my forte). That's why I am looking up simple and sweet ideas on Pinterest, and getting a super-duper head start (to avoid last minute disasters). I plan to do a mix of homemade and purchased gifts this year. I want to keep things simple (not investing too much labor into making things) and frugal (not purchasing every single gift). Cookies and candies for neighbors and friends are an easy option. I'd also love to make a few t-shirt flower pins/hair clips for sisters and moms. Brownie or beer bread mixes in a jar are pretty and useful. Do what's best for you. Don't kill yourself, and stay within your set budget! To aid and assist in homemade gifts ideas, I've made a pinboard of just such a collection! Ninety percent of them are for non-sewing, craft illiterate souls (like myself! ), so I am hoping that you will find them helpful! If you have any great homemade gift ideas that fall into those categories, please share the links in the comments! Today's Assignment: Sit down with your list of people to gift. Make notes next to each name if you'd like to make or buy for them. Check out my pinboard of homemade gift ideas, or surf Pinterest and other websites for your own ideas. This Weekend: If you decide to make a few gifts, sit down and take the time to test one or two of your ideas. If one turns out great- awesome! You've just checked a gift off of your list. If it doesn't work out, you have plenty of time to give it a second go, or find a more workable idea. So... do you make gifts? Or mostly buy? 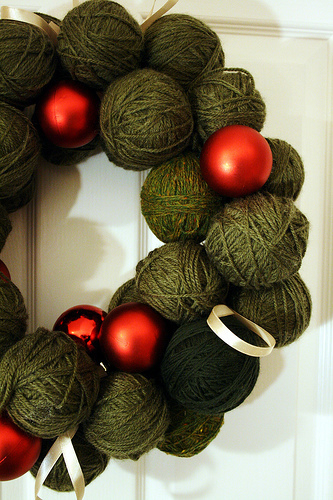 What successful homemade gifts have you given or received in the past?